Stunning home in a great location! Cozy family room right when you enter, the tall ceilings help this room to feel very open, hardwoods throughout the main level. Dining room off kitchen, kitchen opens up to living room and also has access to the large fenced in backyard which features a covered patio and also a large deck. There is church open space behind the home. 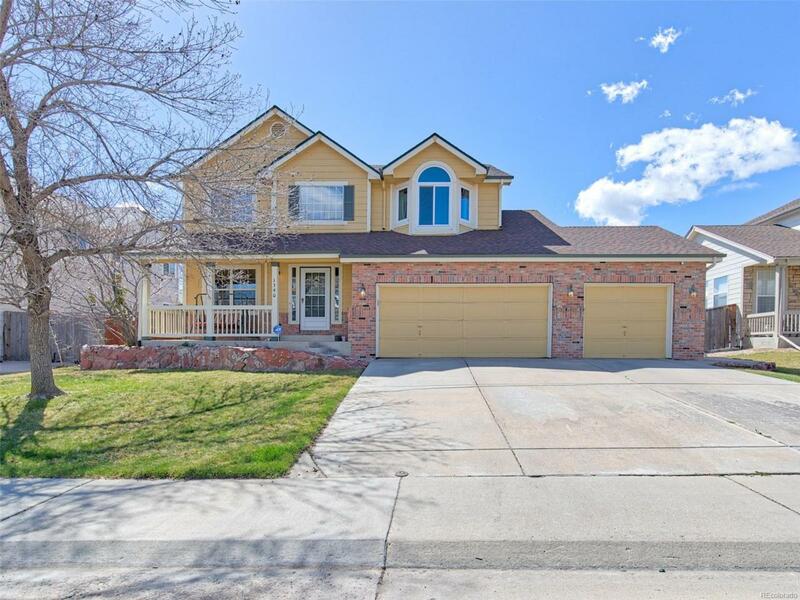 Upstairs features 3 large bedrooms, bathroom that has been updated with tile flooring and updated shower, double sinks and then there is the large master suite, featuring walk in closet, toilet closet double sinks and new tile. The basement is completely finished featuring a bedroom, 3/4 bath, rec room with a bar! Updated in the last 3 years:fresh: new paint, main floor flooring, tile upsairs baths, light fixtures, doorknobs, blinds, LR/kit/master bed and bath windows, hot water heater, dual smoke/co detectors, dishwasher and NEST thermostate and fresh exterior paint June 2018. This home will not disappoint!